NOTE: ALL ARTICLES ARE COPYRIGHTED BY MICHAEL FURTMAN. 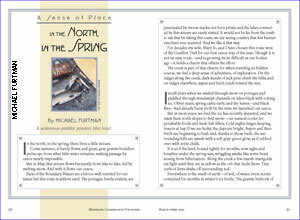 NO REPRINTING OR DISTRIBUTION WITHOUT THE AUTHOR'S PERMISSION. Selected Articles I've Written Or Photographed (or both!). 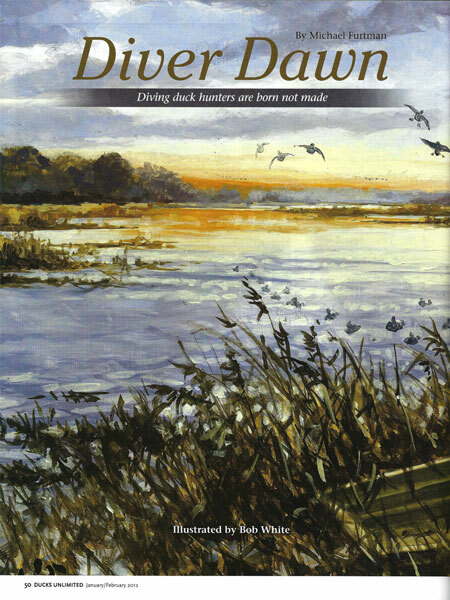 BLASTS FROM THE PAST -- This article appeared in the November/December 2018 issue of Ducks Unlimited magazine. I spent the entire autumn of 2017 hunting ducks using nothing but vintage gear, including my dad's Old Town boat from 1946, and his 1956 Mercury outboard, both of which I restored myself. 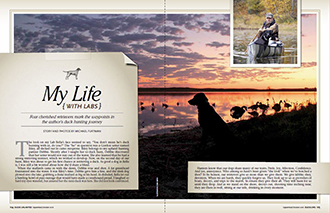 MY LIFE (WITH LABS) -- This story appears in the Sept/Oct 2016 issue of Ducks Unlimited magazine, and is about my four great black Labrador Retriever companions that have marked the passing of my life. I hope you enjoy it! THE SNOWY SEASON -- my pictorial tribute to these magnificent visitors from the north! 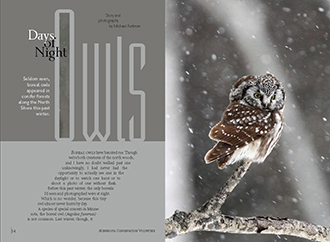 ROUGH & READY is a photo essay on the Rough-legged Hawk, a medium sized raptor that moves south into Minnesota each winter. 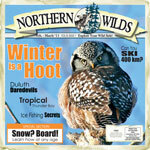 DAYS AND NIGHTS OF OWLS -- a few years back, we were visited by large numbers of the tiny, beautiful, Boreal owl. Here's a photographic and written record of my winter spent with these fierce little predators! 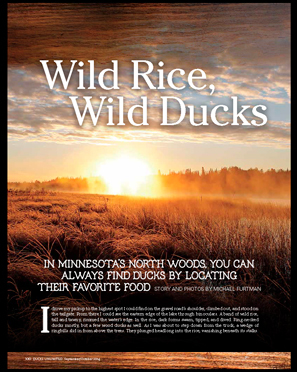 Wild Rice, Wild Ducks -- a story of duck hunting the wild rice lakes of northern Minnesota. 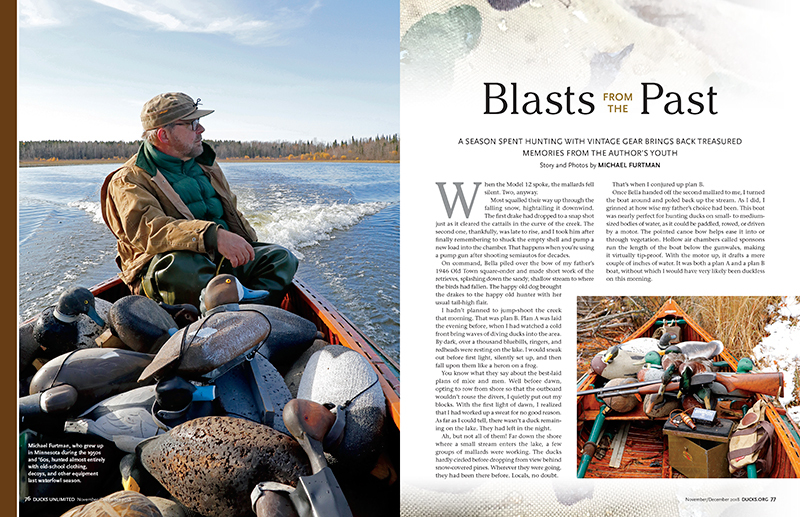 This article appeared in the Sept/Oct 2014 issue of Ducks Unlimited Magazine. I both wrote the story and took all of the photos. I hope you enjoy it. 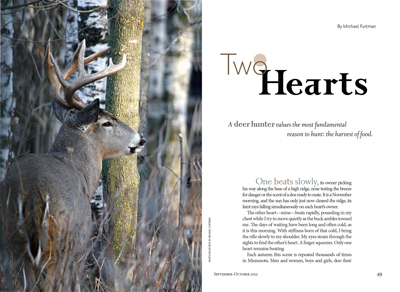 TWO HEARTS -- A deer hunter values the most fundamental reason to hunt: the harvest of food. 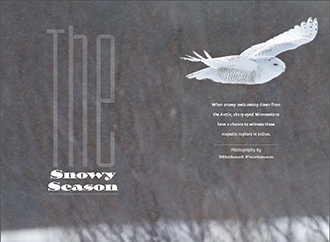 This is an article I wrote and photographed for the Minnesota Conservation Volunteer magazine, and which appeared in their Nov/Dec 2012 issue. 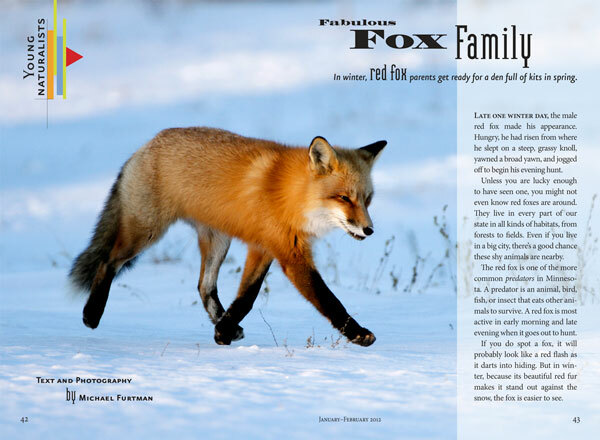 The Fabulous Fox Family is a Young Naturalist piece I wrote and photographed for the Minnesota Conservation Volunteer magazine. Even though it is an article for young people, I think you'll enjoy it no matter your age! 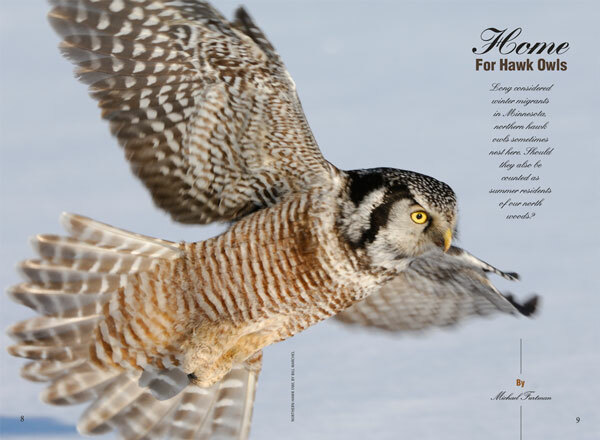 HOME FOR HAWK OWLS: This is an article I wrote, and photographed (with Bill Marchel) for the Minnesota Conservation Volunteer magazine on the existence of a breeding Northern Hawk Owl population in Minnesota. DIVER DAWN -- Diving Duck Hunters Are Born Not Made. 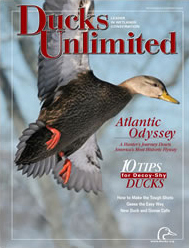 This popular essay of mine appeared in the January/February 2012 issue of Ducks Unlimited magazine. 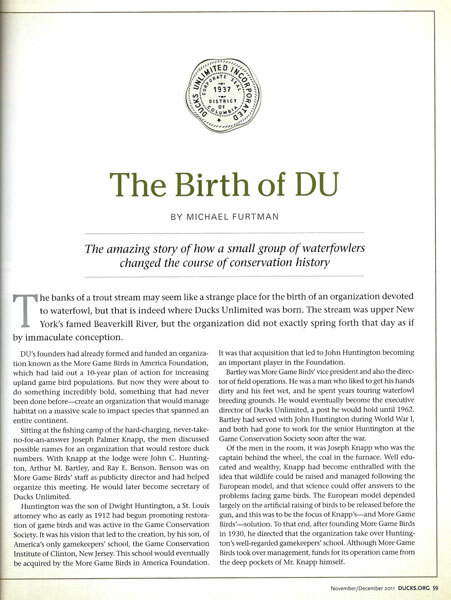 THE BIRTH OF DU (DUCKS UNLIMITED): This is my article that appeared in the November/December issue of Ducks Unlimited magazine, and that is an excerpt from my book, The Ducks Unlimited Story. The Good News Ducks: My article in the Minnesota Conservation Volunteer magazine about one of my favorite birds -- the Ring-necked duck! 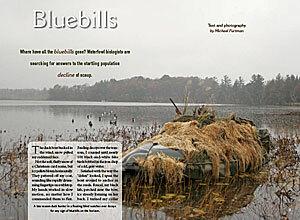 BOG OF THE BIRDS: This is my photo essay of the Sax-Zim Bog which appeared in the Minnesota Volunteer magazine. 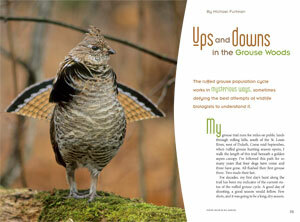 Ups and Downs in the Grouse Woods: An article on the population cycles of Ruffed Grouse in Minnesota, which appeared in the Minnesota Conservation Volunteer magazine. 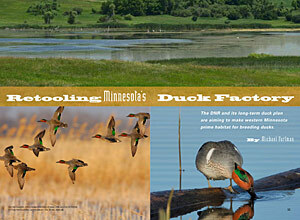 RETOOLING MINNESOTA'S DUCK FACTORY: Global climate trends indicate the prairies of the Dakotas, where as much as 50% of North America's prairie nesting ducks are raised, will become drier, while Minnesota's prairie will get wetter. 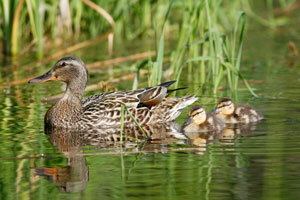 Can Minnesota pick up the slack in duck production if this occurs? 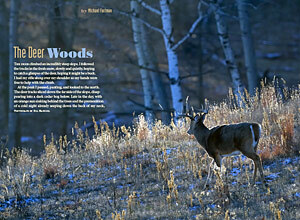 Here's a feature article I wrote for the Minnesota Conservation Volunteer magazine that examines this issue. 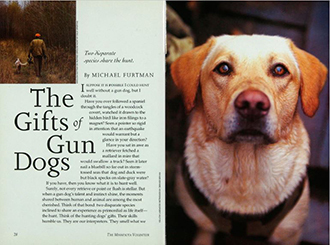 THE GIFT OF GUN DOGS -- Here's a tribute I wrote to man's best friend for the MN Conservation Volunteer magazine. If you've ever had a hunting dog, you'll enjoy this story! THE DEER WOODS -- A deer hunter explains his bond with the land -- MN Conservation Volunteer magazine. 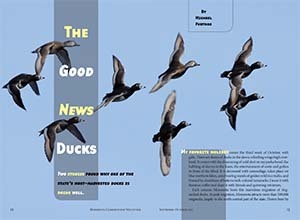 NO ROOM FOR DUCKS -- A duck hunter discovers the local implications of global population growth. BLUEBILLS -- Where Have They Gone? 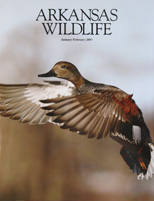 -- MN Conservation Volunteer magazine. 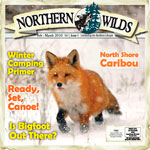 In the North, In the Spring -- A wilderness paddler ponders lake trout -- MN Conservation Volunteer magazine -- MN Conservation Volunteer magazine. Giving Thanks on the Prairie -- A hunter expresses gratitude for grasslands -- MN Conservation Volunteer magazine. 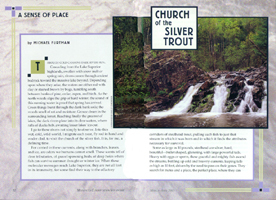 Church of the Silver Trout -- A steelhead fishing essay I wrote for the MN Conservation Volunteer magazine. 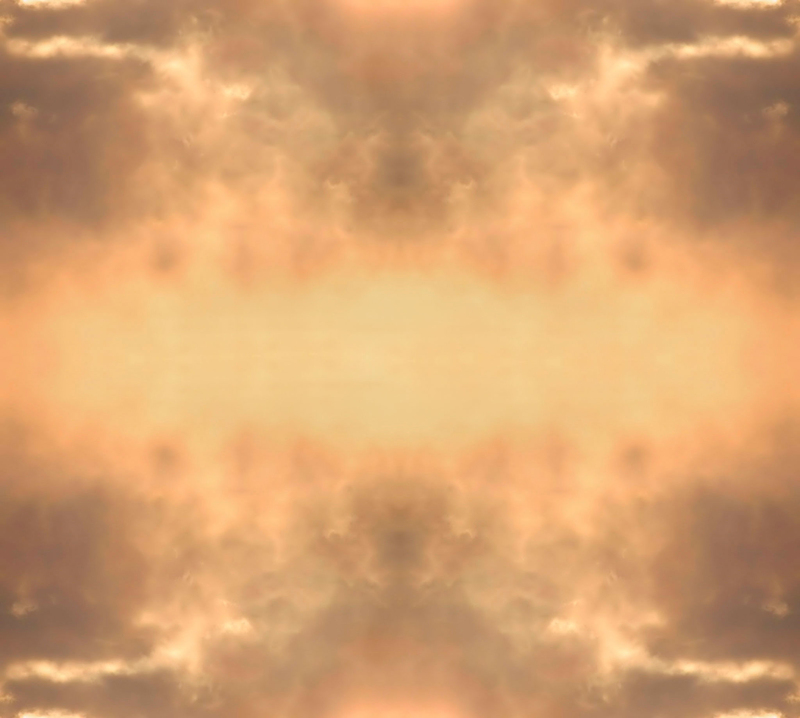 COPYRIGHT NOTICE: All photographs appearing on this site are the property of Michael Furtman. These photographs are protected by U.S. copyright laws and have been registered with the U.S. Copyright office. They are not to be downloaded or reproduced in any way without written permission. By entering this site you accept these terms.